Mrs. S. Maretta Thrall died at 7:30 this morning at her home on Grove street after a lingering illness from a complication of diseases. Her age was about 65 years. She was born at Prattsville, Greene county, N.Y., her parents being Albert E. Babcock and Margaret Laraway. She was married in 1859 to John W. Thrall in Sullivan county, four miles from Callicoon Depot. An only child died in infancy. Mr. Thrall during his life engaged in the wholesale grocery business in New York, being a member of the firm of Thompson & Thrall. He was a native of Milford, PA. He died in the winter of 1882 in this city. In 1862, Mr. and Mrs. Thrall removed to this city and built the handsome residence at 22 Grove street, removing into it the following year. One brother of the deceased, Leroy Babcock, died in this city twenty-nine years ago July 5. Mrs. Thrall's nearest living relatives at the present time are own cousins. They are Mr. Dwight Babcock, Mrs. N. P. Henderson, Mrs. Charles Horton and Mrs. James E. Scott of this city. 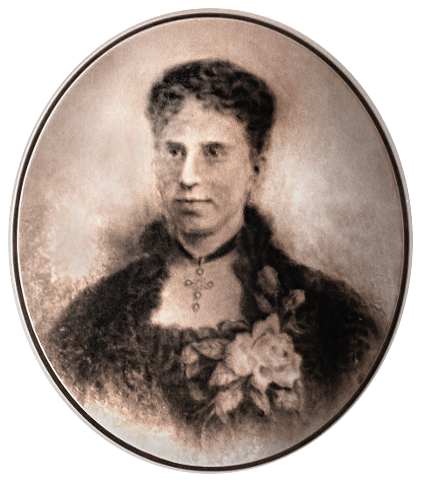 Miss Anna L. Babcock, of this city, is a second cousin of the deceased. Until her health failed Mrs. Thrall was a regular attendant at the First Presbyterian Church, where her family have owned a pew for many years. Mrs. Thrall has experienced very poor health for a number of years past, during which time she has been unable to leave her home. About the last time her friends had the pleasure of meeting her on a social occasion was in 1892 on the night of the opening to the public of Thrall Hospital, which institution with the beautiful grounds adjacent she so generously donated to the city of Middletown. Thrall Hospital since its completion in 1891, and where during the time intervening so much suffering has been relieved, stands as a lasting monument to the memory of this noble woman. After the completion of the institution Mrs. Thrall, it will be remembered, was approached for additional grounds for a larger frontage on Grove street. Although what is now Thrall Park was mapped out into building lots she showed her philanthropic spirit and interest in her city and changed her original plan to dispose of the property for building purposes, which would have realized several thousand dollars, and tendered the deed of the land to Middletown. The only consideration was that the city convert the land into an attractive park. The beautiful Thrall Park is a result. The construction of a park of this character adjoining an institution like Thrall Hospital, where patients might during their convalescent hours look out upon the work of nature, with a fountain, flower beds, shrubbery, and well kept lawns, has an effect that is very beneficial to the sick and injured. For the excellent management of Thrall Hospital and the work it has accomplished Mrs. Thrall has always expressed the utmost satisfaction, and without doubt by reason of the good results accomplished by the institution she has never regretted the deed that will make her name cherished in Middletown for all the years to come. "This hospital was erected and presented to the City of Middletown by S. Maretta Thrall as a memorial to her parents, Albert Evander Babcock and Margaret Laraway Babcock."